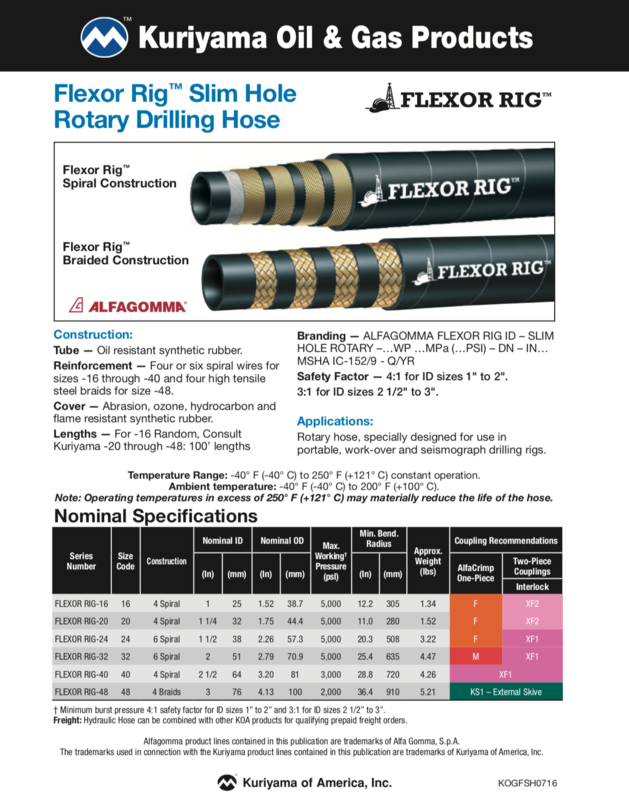 Slim hole rotary drilling hose, specially designed for use in portable, work-over and seismograph drilling rigs, with oil resistant synthetic rubber tube and abrasion, ozone, hydrocarbon, and flame resistant synthetic rubber cover. Sizes 1″ through 2 1/2″ are reinforced with 4-6 spiral wires. 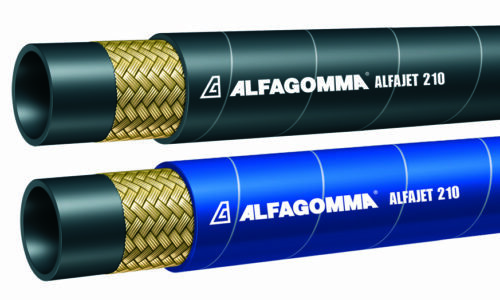 3″ size is reinforced with 4 high tensile steel braids.